The Selection gets fierce as rivals stake their claim on the prince. But surviving The Selection is tough. Rivals are battling to become Prince Maxon's bride as the threat of rebel violence just beyond the palace walls escalates into war. Only six girls are left and sworn friendships are tested to breaking point. 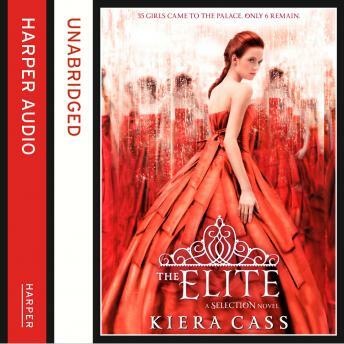 America's feelings for Maxon grow stronger, but she suspects darker mysteries in his royal past. With ex-lover Aspen waiting for her in the shadows, where do her loyalties truly lie?